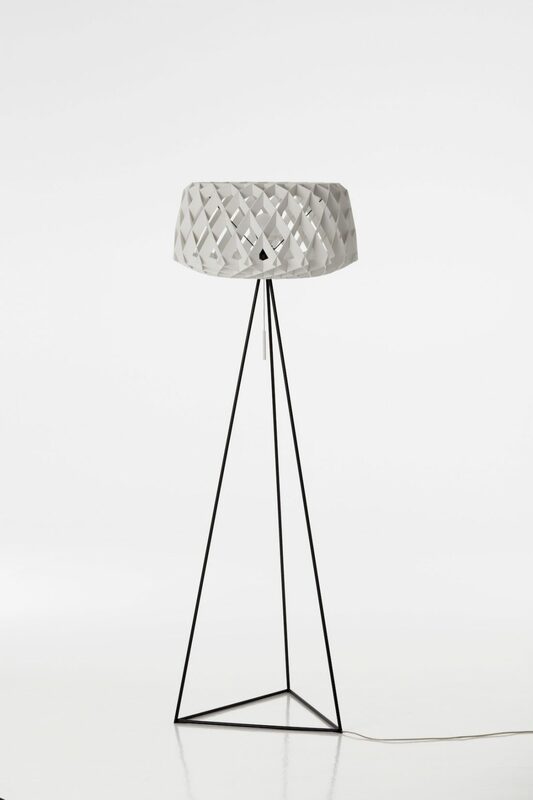 PILKE 60 TRIPOD is a floor lamp version of the popular Pilke 60 light. 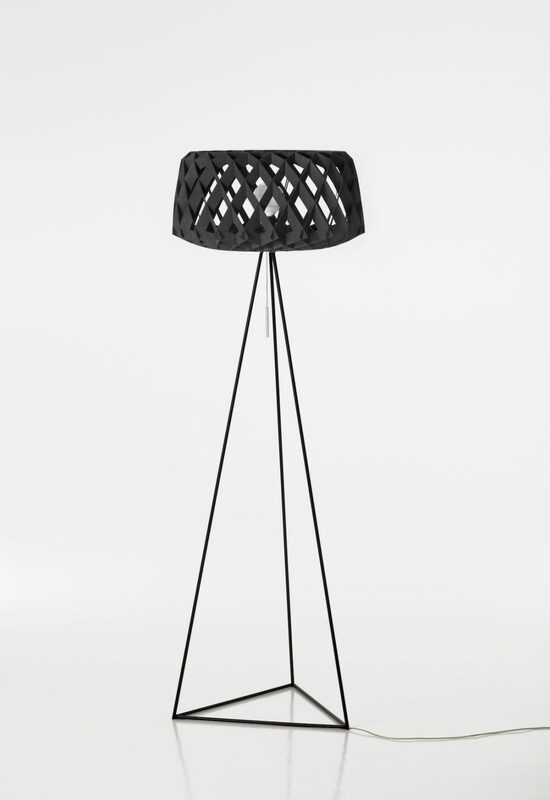 The tripod base applies 3D printer technique, which enables the graphical, slim, ultra-light design, matching the PILKE geometry. Birch plywood shade, Steel tube, 3D printed plastic. 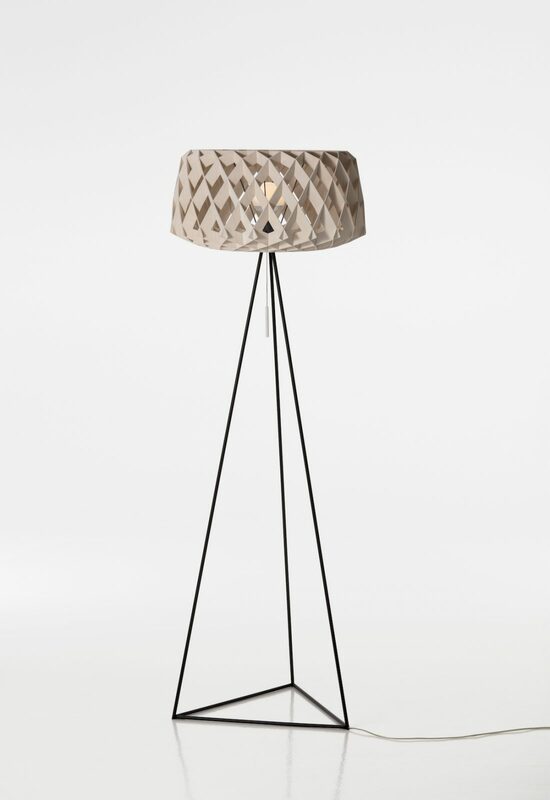 Lamp E27, Max. 20W.